As part of my job I make the travel arrangements for our division. The company is global and I am privileged to sent our staff to every continent. A little while ago one of the managers kicked off a idea that each staff member that travelled had to bring back a little airport novelty. 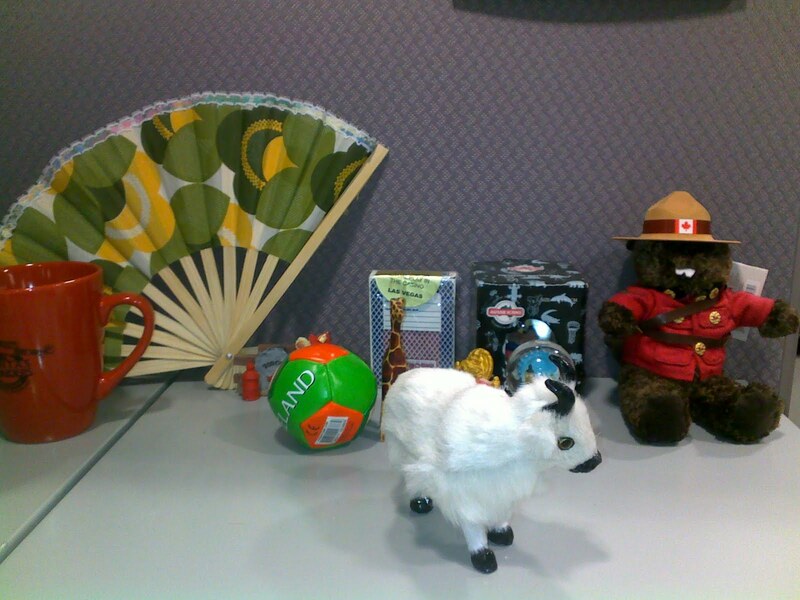 Because I am the person who arranges the travel these novelty items have been given to me, as custodian. I don’t see these as gifts to me even tho they sit right in front of my desk; however they are everyone’s and a talking point. There are novelties from South Africa, Canada, USA, India, Ireland, Philipines and Australia. 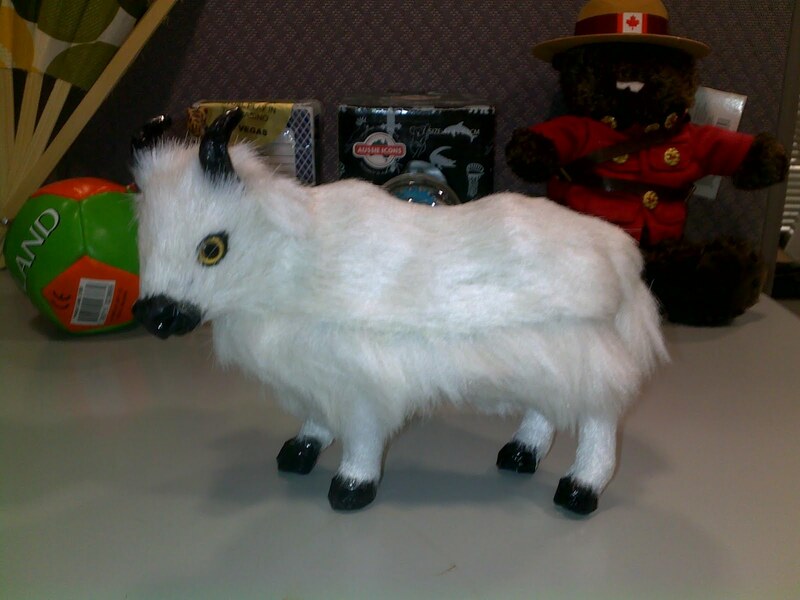 My most recent traveller returned from Nepal and brought back a Yak, which makes me smile every time I walk past it. Here is Australia it is school holiday time and my life gets very frantic.